At 3 am in the morning, blogging while accompany my hubby doing his assignment. 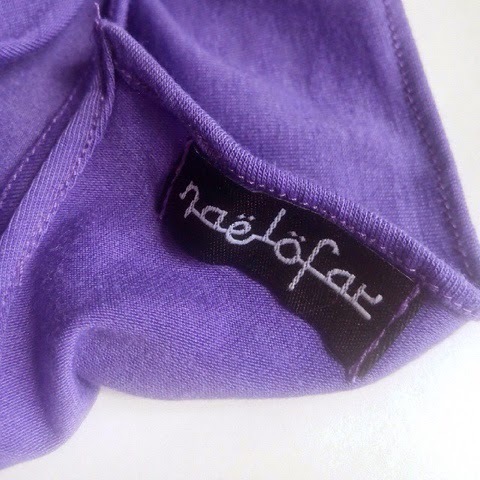 Still in the subject of Naelofar Hijab. I love this tudung because it is wide enough to cover my baby girl while breastfeeding especially Babes and Basic. 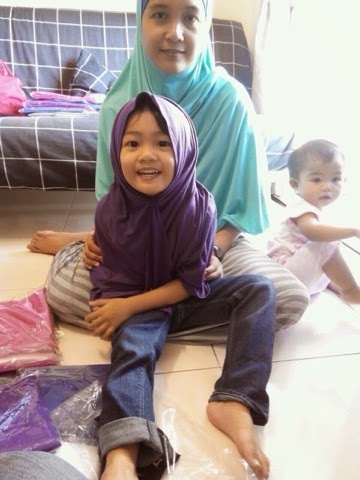 My girl, Aira also in Naelofar Hijab and that my baby girl, Hana is minding her own business. 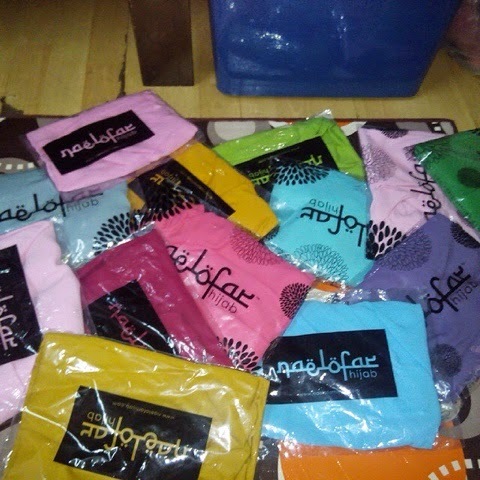 Naelofar Babes and Basic, RM50. To order please whatapps me at 016-9707609. 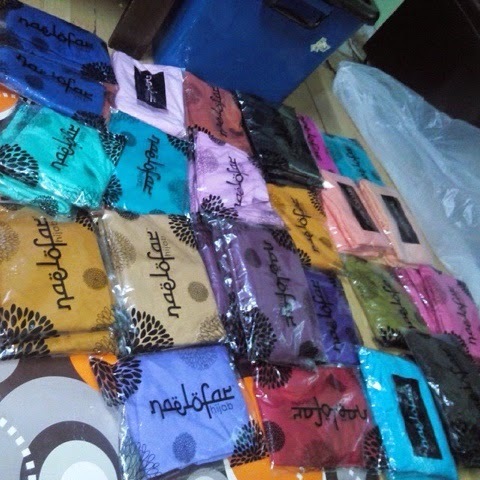 All lovely ladies out there...if you are interested in these gorgeous scarves, please do not hesitate to email me at syakella05@yahoo.com or whatsapp me at 016-9707609. 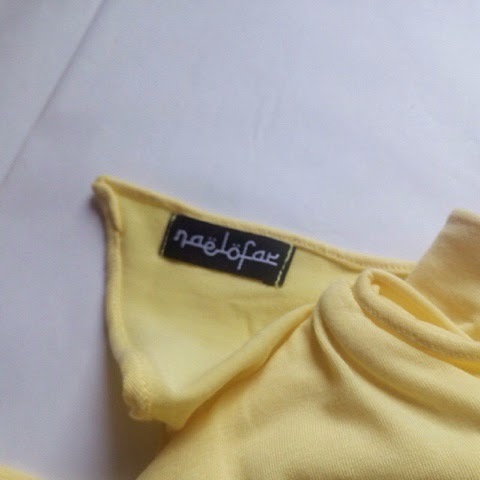 Muahhh..
Alhamdulillah, kini peminat-peminat Naelofar Hijab boleh mendapatkan koleksi Babes & Basic di Kellastudio. Terdapat lebih daripada 30 warna-warna yang menarik. Untuk tempahan, sila email syakella05@yahoo.com atau hubungi/whatsapp saya di talian 016-9707609. 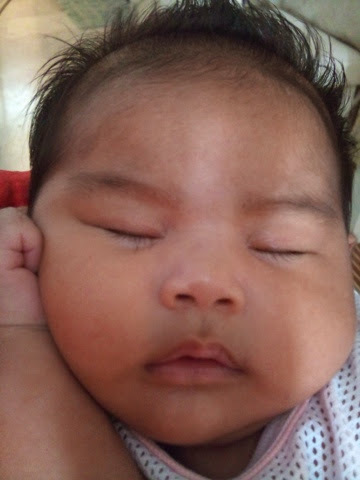 Presenting my baby girl, Hana. She is almost two months old. Hana means flower in Japanese. 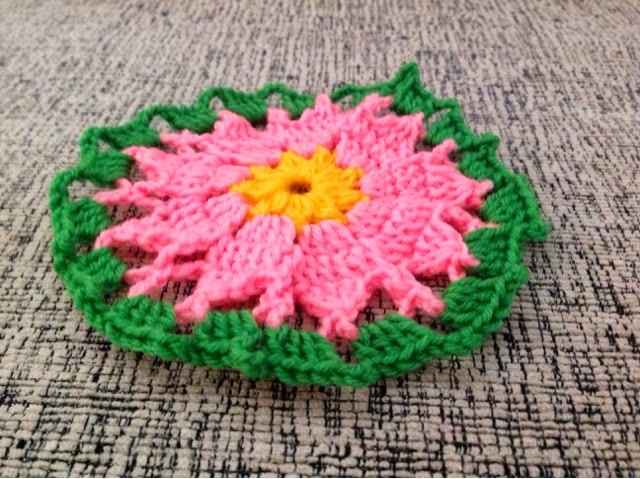 I have started to crochet again. 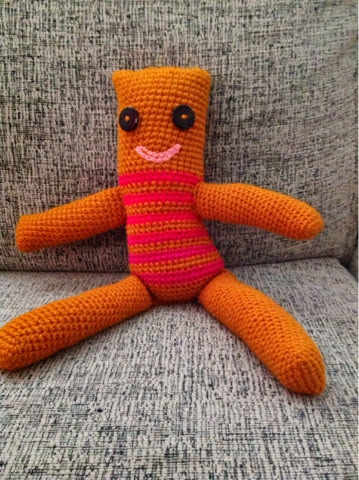 So many projects to finish and start...i have shown earlier my amigurumi, Kanje. I have also sign up in Craftsy. I am planning to offer my pattern there. 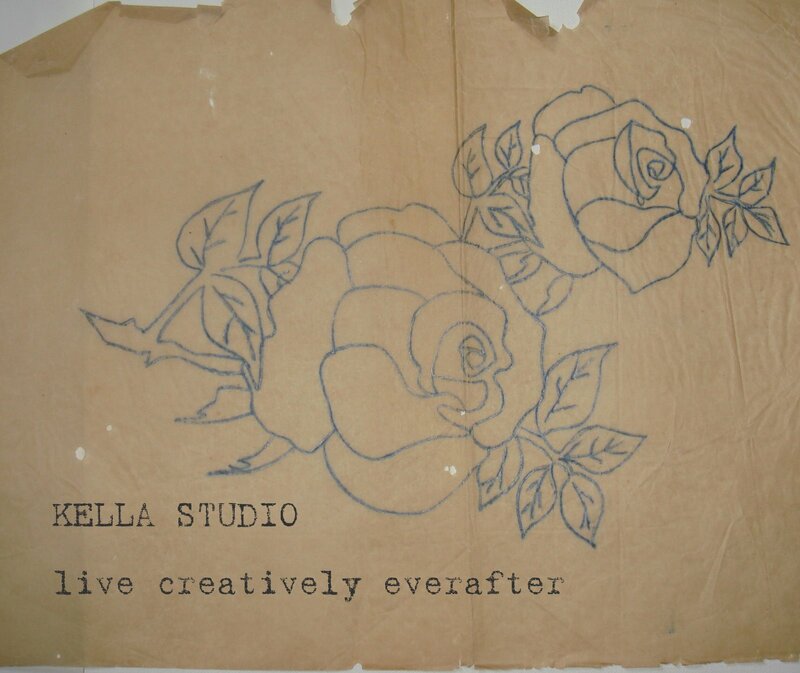 For a start this is my grandmother's flower motif, recreated.